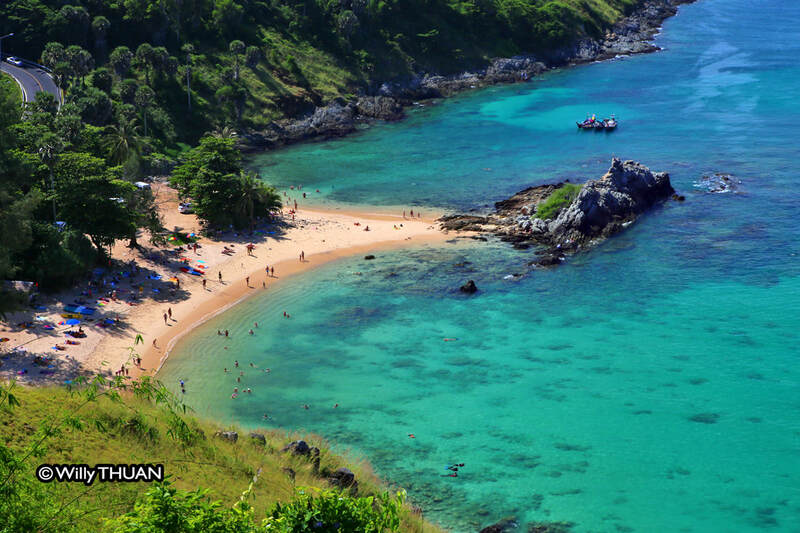 You may love shopping, beaches, diving, 4x4 ATV rides and yes Phuket has it all. 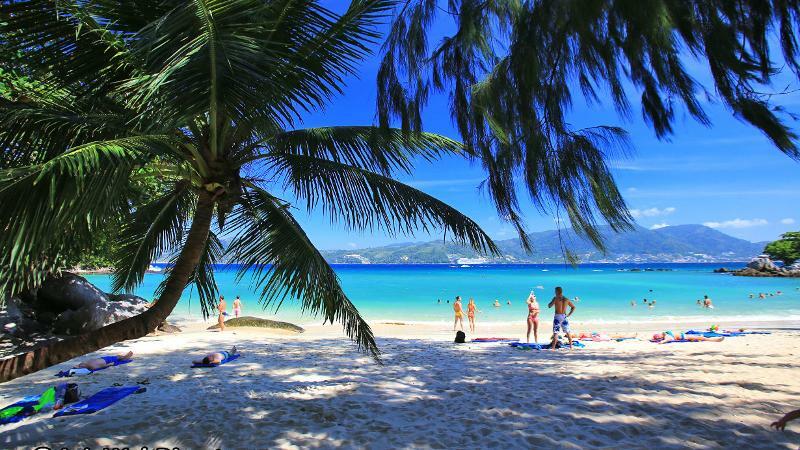 Its the richest province of Thailand and the people thrive on tourism, Phuket welcomes you. The archetypical tropical beach complete with nodding palms, white sand and shallow waters, Ao Yon is also home to oyster growing rafts a few hundred metres out to sea and is a small beachside village in its own right. Southerly facing, it can get busy at weekends as locals love to picnic there but is pleasantly peaceful on weekdays. How to get there: Located between Cape Panwa and Novotel Cape Panwa; park on the hillside road and walk down to the beach. You’ll understand why this beach is so named when you emerge onto its crescent-shaped strand. Hard to find, yet rewarding, it’s a bit of a trek downhill through a wooded area and at high tide on a windy day you won’t have much space but when the weather is calm there’s no beating Banana Beach for tranquility and beauty. There is a beach restaurant there. Do not swim between the months of May and November. 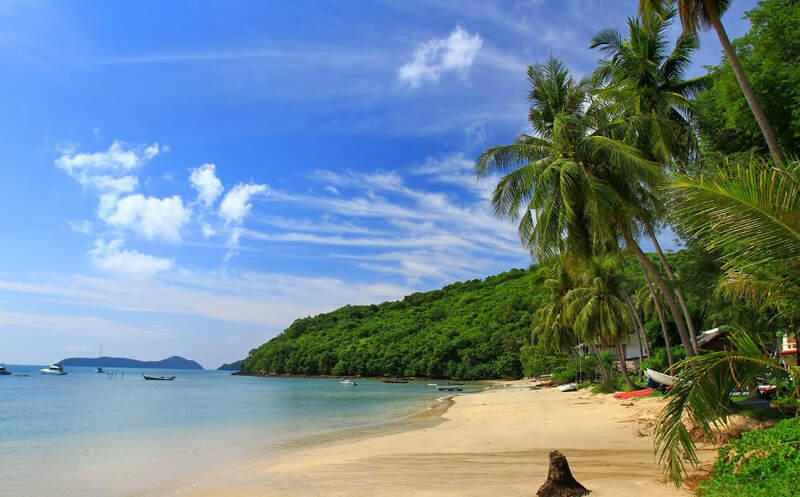 ​Banana Beach is situated between Bang Tao and Nai Thon beaches, some 500 metres north of Trisara Villas. You have to have sharp eyes to spot the beach through the trees that line the road but there are two places that lend access to the beach. If coming from the south (Bang Tao), pass Trisara and slow down when the road dips down. You will see where the barbed wire fence on the left-hand side of the road is open and a wood sign was nailed to a tree: 'Banana Beach'. Park there and walk down through the trees. Alternatively, 150 metres farther on there is a white metal sign saying 'To Nai Thon' next to a small parking space. Follow the bamboo-lined trail, scale down the hill, cross the river and you will see that the trail leads to the beach's northern end. Quite a few people choose to rent a longtail from other beaches to come here. Ask for 'Hat Hin Kluay'. 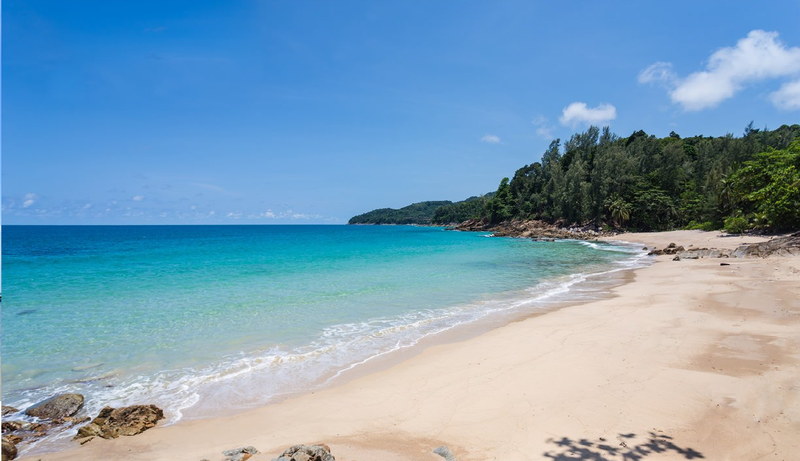 Getting to Nui Beach Take the dirt road to the right, some 350 metres after Kata-Karon Viewpoint when heading south toward Rawai/Nai Harn; you will find a parking area approximately 1 km from the main road. From there, you can choose how to get to the beach. The access to Nui Beach is free if you decide to go there by yourself on foot or with a moped. It roughly takes 15 minutes to walk down to the beach. The slope is steep. It is bumpy terrain, and features rocks of various sizes, gravel and sand. If you are not confident in your driving skill, you’d better take the pickup truck waiting at the parking area at the top of the hill. It will take you down safely to this secluded beach. The price for a one-way transfer is 100 baht per person. Nui Beach (Water Beach Club) is just the right place if you want to escape the crowds and spend a day surrounded by picture-postcard beauty. The fact that Nui Beach is run by a private company may not be in tune with the actual government policy, but tourists visiting this lovely beach do not mind if it’s legal or not. Panwa Beach (or Khao Kad Beach) has managed to remain exactly the same as it has been for years in spite of intensive urbanization in the direct area. It's still tranquil and a haven for people who like peace and quiet. 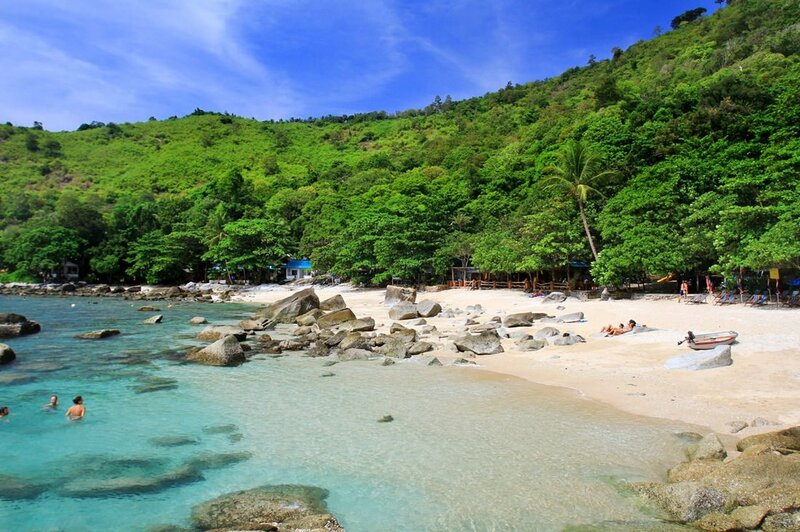 Khao Khat is eight kilometres east of Phuket Town and covers the west coast of Cape Panwa. Its sand is rather rough and the water shallow but it's certainly very scenic with views out across Chalong Bay and Lone Island. Luxury villas and condominiums line almost the entire beach but dotted in between are fishermen's huts and at the far west end of the beach there is a mangrove swamp. 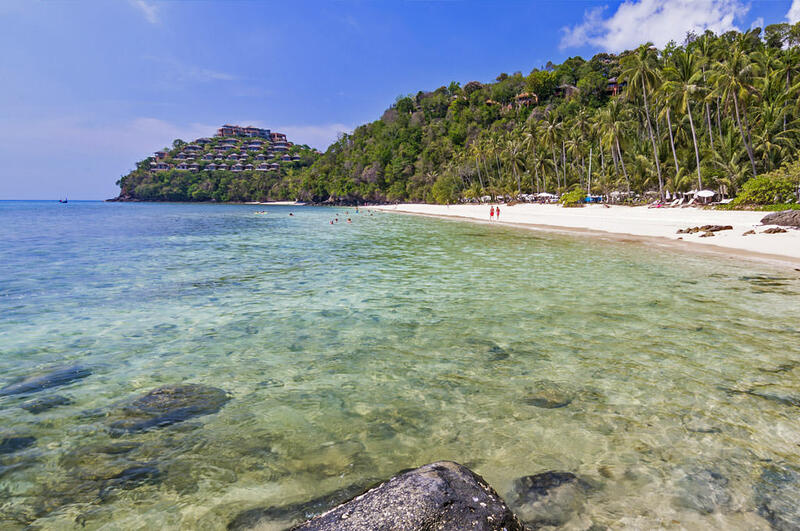 ​ How to get there: ...head south from Kamala Beach towards Cape Sienna and Paresa resorts until you notice two concrete pillars and a concrete drive leading down to the beach.